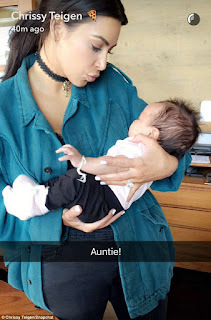 Kim Kardashian and Kanye West coo over baby Luna while out with Chrissy Teigen and John Legend - BlogIT with OLIVIA!!! 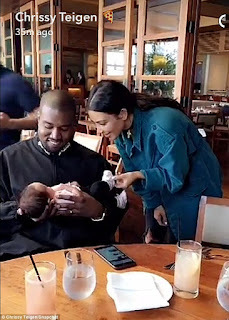 The couple got sappy over Chrissy Teigen's baby girl Luna as they enjoyed a family-oriented Sunday brunch with the proud 30-year-old mom at Nobu in Malibu, California. 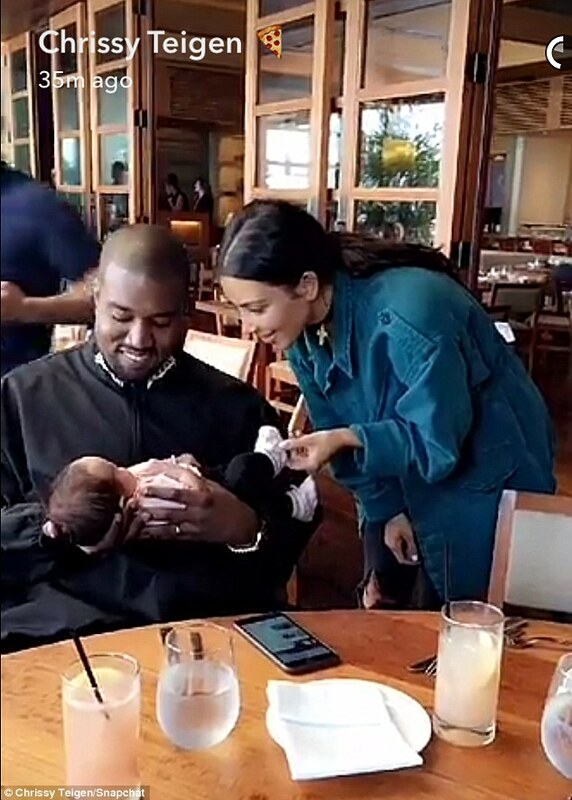 Kim and Kanye were seen cooing over the one-month-old tot on the patio of the posh restaurant in a Snapchat shared by Lip Sync Battle co-host.